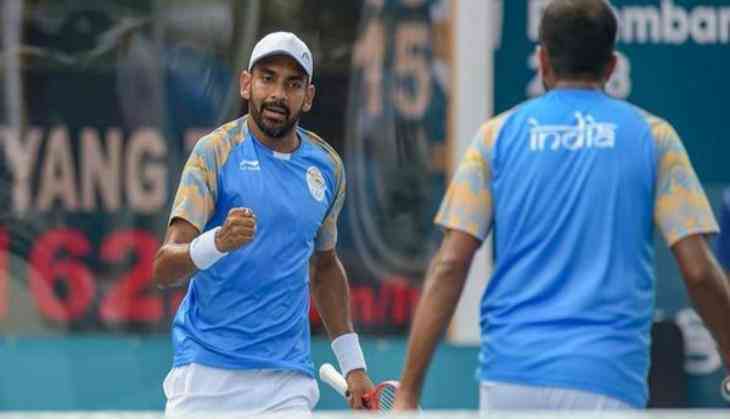 Just a stunning and superb performance from the Indian pair of Divij Sharan and Rohan Bopanna and secures the gold medal of the Men's Doubles event at the AsianGames2018. Rohan Bopanna to serve for the gold medal at 5-4 in the second set. Rohan Bopanna and Divij Sharan are the top seeds in the Tournament. Indian pair played a brilliant knock throughout the tournament. They beat Kazakhstan's Aleksandr Bublik and Denis Yevseyev 6-3, 6-4 to grab the top prize in the event.